Measures for cooking and pastry making. Precise doses of your ingredients without using a scales. 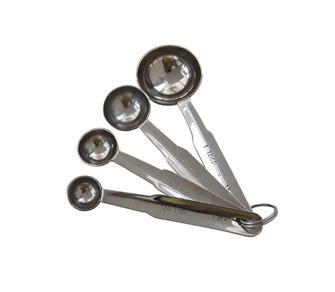 Set of 4 stainless steel measuring spoons. 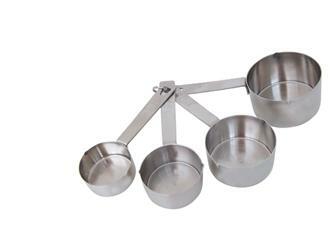 Set of 4 stainless steel measuring cups.